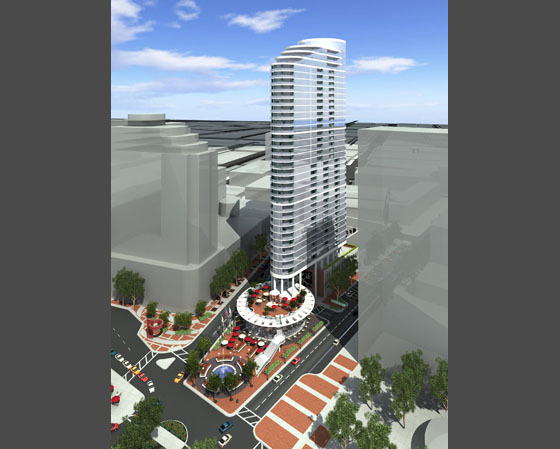 This 37-story project will contain over 115 luxury condominium units, 100,000 sf of offices and 25,000 sf of retail space. To be LEED certified, it is located near major commuter rail and city subway transit stations and is part of a ‘downtown’ revitalization effort for this suburb on the northern edge of Chicago. A key feature of the design is the redesign of the town's 'Fountain Square' which will be fronted by a prominent restaurant and upstairs cafe.